So what’s the answer to continuing to attract and retain customers at your museum? An effective and forward-thinking marketing strategy. In order to compete in cultural hubs like Madrid, London or New York, it’s crucial to communicate your specific offering to potential customers in a way that’s unique and engaging. To stand out from the crowd, you’ll need to leverage the benefits of online and offline approaches, use data to your advantage, and implement automation where possible. Luckily, this guide provides insights into how to revolutionise your museum marketing efforts, to help you achieve a strong, diverse attendance for your museum’s exhibitions and events and leave your competition behind. When updating your museum marketing strategy, flexibility should be a top priority in order to stay ahead of the curve, and attract a variety of different audiences. It’s not one-size-fits-all: you’ll need to adapt your strategy to each individual exhibition or event. For instance, if you’re hosting an interactive, visual science exhibition, you might choose video content on social media in order to emphasise the experiential nature of the event and appeal to younger audiences. However, if you’re looking to draw traffic towards a series of niche academic talks on military history, the Instagram approach might not work as well in comparison to in-depth written content, guest blogging and community-focused outreach. In order to better target specific customer profiles, a CRM software can help you to learn about your customers in real-time and adapt your approach accordingly. When it comes to museum marketing: it’s all about moving with the times and making sure your marketing strategy reflects the audience of the exhibitions you offer at any one time. In a recent study, almost half (44.3%) of young people aged 18-24 said their primary way of discovering new art was through social media channels, as opposed to art museums or galleries. 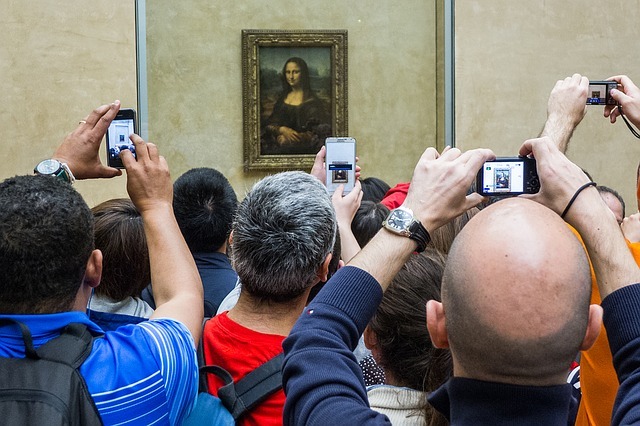 You might think that the physical experience of going to a museum to learn something new or discover local culture is being threatened by the growing power of social media. This doesn’t have to be the case if your museum harnesses the power of social media, to become a centre of digital buzz and activity. 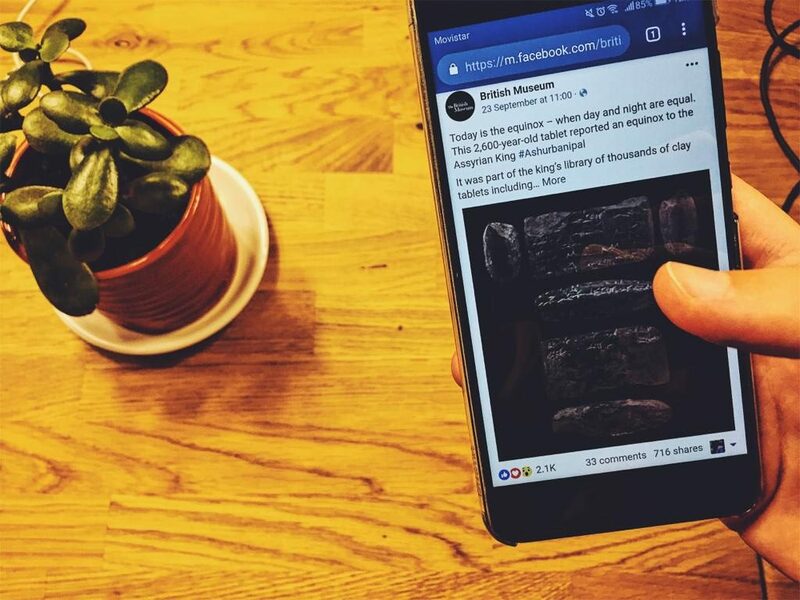 Kickstart your social community by encouraging guests to like your pages or follow you in order to unlock exclusive discounts, or share a hashtag which they can use alongside a photo at the museum to enter into a competition. Consider also making your actual museum space social-media friendly too: why not design an interactive and aesthetically interesting backdrop for guests to take selfies in front of? Finally, encourage guests to connect on social media with built-in calls-to-action within exhibitions and around your museum. You’ll turn into a social media hub in no time. In a 2017 survey, 76% of respondents said they found content posted by other consumers more honest than branded content. Customers are much more likely to attend your museum if it’s verified by someone in their community, an influencer or public figure they follow, or they’ve read about it on a consumer-focused blog or publication. Therefore, for any museum trying to convert potential leads in to committed returning customers, outreach should be a core element of their marketing efforts. The key to this is reaching out to publications or individuals who share the values of your museum, and post content related to the subject matter of your exhibitions or events. That way the information about your museum falls on the ears of those that already have an interest in the topics on display at your museum. Equally, when reaching out to blogs and publications, be sure to select ones that regularly cover topics similar to those represented in your museum and a readership base that are interested in learning more about these ideas. With all the buzz around social media and the power of digital marketing, some might think that print and offline marketing is dead. However, this is far from the reality for consumers and potential visitors to your museum. In fact, research demonstrates that 82% of U.S. internet users would still trust print more than digital marketing when making e-commerce decisions. That means it’s crucial to not forget about the unique power of offline marketing approaches for your museum, such as printed products like postcards, posters, bookmarks, leaflets, brochures and many more. The tactile, physical nature of these products, which can be put on a wall or a fridge, means your visitors continue their interaction with your museum long after they’ve attended an event or exhibition, boosting brand recognition and building a sustained relationship of trust. Still sceptical about how offline marketing will hold up against new marketing technologies? Try leveraging techniques like QR codes to join the dots between your offline and online marketing initiatives by directing customers to a particular offer or event as soon as they scan the code on the back of their print or leaflet. Customer expectations for experiences, both online and offline, are on the rise. So when trying to stand out against the noise of the many other cultural events your potential customers could book a ticket for, personalisation is key. Why not send customers a personalised email to give them access to a virtual tour of your museum once they’ve shown interest? This improves the user experience of your museum site online, and makes your potential customers feel they’re receiving a bespoke experience. More companies, cultural institutions and centres are investing in big data solutions and analytics than ever before. That means if you don’t put emphasis on gathering, analysing and using data as the starting point for a more personalised approach marketing, you risk falling behind. Studies show that 71% of consumers feel frustrated when organisations don’t personalise their experiences and 44% say they’re likely to become returning customers after a personalised experience with an organisation. Leveraging a CRM, such as Onebox’s comprehensive ticket distribution system, allows you to gain critical insights into customer behaviour, giving you actionable intelligence so you can personalise customers’ experiences with your museum as they book online, attend a show, exhibition or event and then stay in touch afterwards. Remember: data is key. 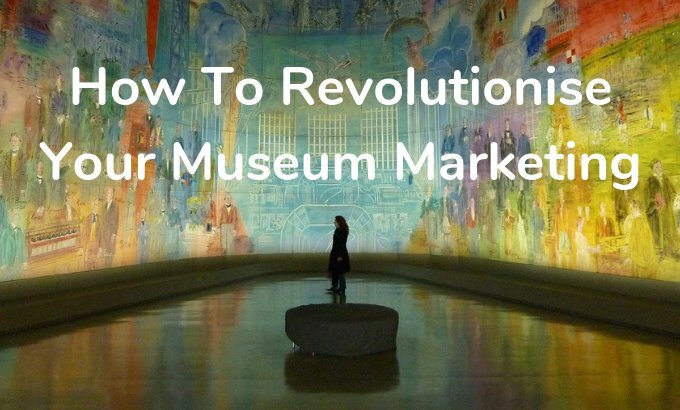 If you’re struggling to maintain consistent sales figures and attendance for your exhibitions or events, it might be time to revolutionise your museum marketing. With so much competition, it’s crucial to continuously adapt your marketing strategy to stay relevant, cut through the noise, and build lasting connections with potential museum-goers and lifetime customers. A ticket distribution system like Onebox provides access to real-time customer data through sophisticated CRM technology that allows you to optimise customer experiences for your museum. That’s alongside inventory management tools, a sales platform and ticketing channel management tools that take care of granular ticketing tasks so you can keep your focus on getting creative with your museum marketing.